Show your elegance by wearing this lovely pink colored partywear saree. 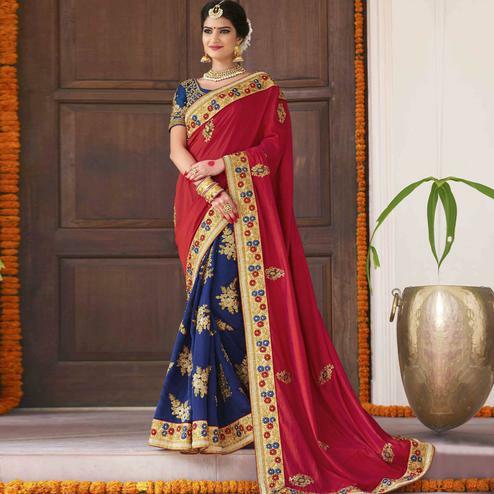 This saree is featured with beautiful embroidered work. This chiffon saree comes with unstitched embroidered art silk blouse piece which can be stitched as per your style & requirement. Style it with right accessories for that complete ethnic look. This saree is elegant and eye catching and Perfect choice for every women. This would surely attract you showers of compliments when you wear it for parties, functions or occasions. 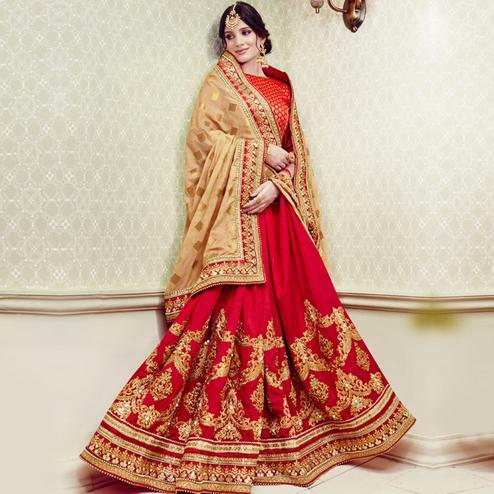 Inspite of heavy embroidery this saree ensures superb comfort throughout the gala. Note:- The actual product may differ slightly in color and design from the one illustrated in the images.